At the age of 40, Lyuan Chen came to the United States to seek a new venture and better advancements for his family. He came from a large family in China that has operated four successful restaurants in the Guanzhou Province for many years. He brought with him eclectic cuisine from the Canton Province of China and Hong Kong. Chen specializes in the Chinese traditional roasted ducks, Char Siu Pork and roasted pork and is a proficient chef in other Chinese dishes. Chen welcomes the community to try the new China Chen Restaurant, located at 2519 S.R. 60 E. in Valrico. The hours are daily from 11 a.m.-9:30 p.m. Call 662-2997. Anna Shaw, A.R.N.P. 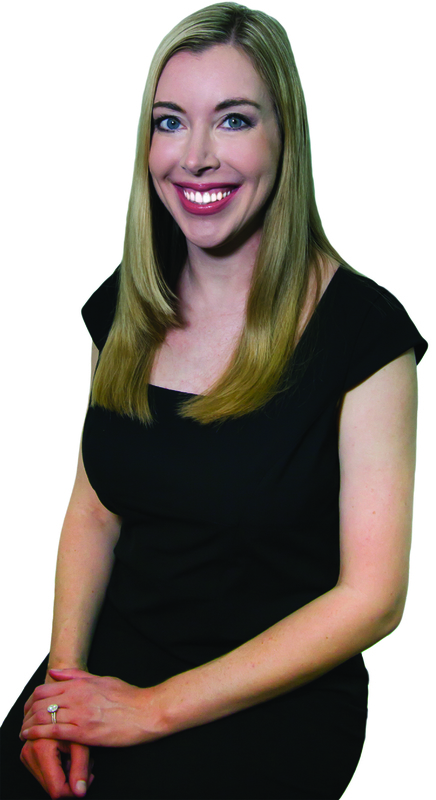 joined Palm Harbor Dermatology this month with five years of experience in medical, pediatric and cosmetic dermatology. She completed her Bachelor’s of Science in nursing at Saint Louis University and her Master’s of Science in nursing as a Family Nurse Practitioner at the University of South Florida. Shaw is a nurse practitioner and will be seeing patients for general skin exams as well as cosmetic procedures such as Botox and filler. E-mail karin@palmhar bordermatology.com or call 855-743-4968. Palm Harbor Dermatology is located at 621 Medical Care Dr. in Brandon. Visit www.palmharbordermatology.com. Last month uBreakiFix celebrated its new membership with the Greater Riverview Chamber of Commerce with a ribbon cutting ceremony. From cell phones to computers, uBreakiFix in Valrico is on the job. It offers professional repairs on iPhones, iPads. Android devices, Macs, PCs, game consoles and more. uBreakiFix is located at 3430 Lithia Pinecrest Rd. in Valrico and can be reached at 957-5223 or b.sells@ubreakifix.com. Visit www.ubreakifix.com. The Greater Tampa Ch amber of Commerce announced the winners of the 2014 Small Business of the Year Awards in September. 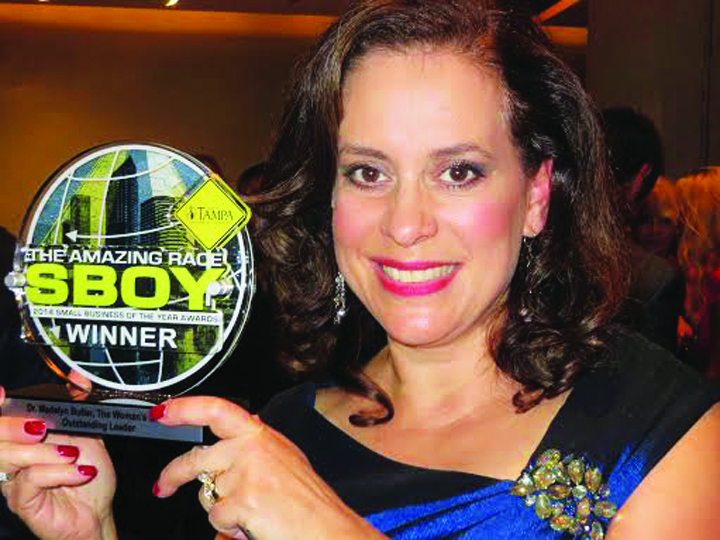 Dr. Madelyn Butler was chosen as the Outstanding Leader of the Year. Dr. Butler founded The Woman’s Group in 1998 with a vision of an all-female practice dedicated to high-quality obstetrical and gynecological care and education for women of all ages. She started the company with just six employees. Today The Woman’s Group boasts a staff of nearly 100 with four office locations and serves three Greater Tampa area hospitals. For more information, call 347-4080 or visit www.thewomansgrouptampa.com. Christian Brothers Automotive is offering a free trip check before traveling this holiday season. Call 685-0683 to schedule a free appointment. Christian Brothers Automotive is located at 10010 McMullen Rd. in Riverview. The Qdoba located at 1013 W. Brandon Blvd. in Brandon would like to thank teachers for all their hard work. On Tuesday, November 18 from 4-7 p.m. at this location, Qdoba will be giving away a free entrée with the purchase of a large drink to all teachers who bring in their ID. For more information, call 689-9998. Colombian food is characterized by its blending of European cuisine with aspects of African and Indigenous cuisine. Cali Viejo brings this unique taste to the Brandon area. It offers a breakfast, lunch and dinner menu as well as catering. Friday it has Jazz Night and every other Saturday it has Bohemia night. Visit caliviejorestaurant.com for more information or call 685-3715. Cali Viejo is located at 436 E. Brandon Blvd. in Brandon and is open Monday through Saturday 7 a.m.–10 p.m. and Sunday 8 a.m.–9 p.m. Edible Arrangements unique cut fruit bouquets and chocolate dipped fruits is now available in Riverview. Owners Catherine Seal and Stephen Buscarino chose Riverview because of the expansion in the area, and to make it convenient for customers outside of the Valrico area they also serve. Everyday fruits include pineapple, cantaloupe, honeydew and strawberries as well as a variety of seasonal fruits. It also offers a variety of chocolate dipped fruits. The new location is at 10273 Big Bend Rd. in Riverview. Call 672-6111 or visit www.ediblearrangments.com. Heavenly Sweets & Pastries offers a variety of baked goods, such as mini cakes, dinner cakes, cookies, cupcakes, cake pops and cake truffles to name a few. There is also party room available for rent to host children birthday parties. It is located at 1745 E. Brandon Blvd. in Valrico. Call 661-9329 or visit www.heavenlysweetspas tries.com. Last month The Law Offices of Laurie E. Ohall, PA hosted an open house with a Greater Riverview Chamber of Commerce ribbon cutting ceremony. Ohall is a Florida Board Certified Elder Law Attorney. For almost 20 years, Ohall has been serving the legal needs of Tampa Bay area families. It is her mission in the practice of law to protect, honor and educate her clients. For more information, call 438-8503, lohall@ohalllaw.com, or visit online at www.ohalllaw.com. The office is located at 1464 Oakfield Dr. in Brandon. 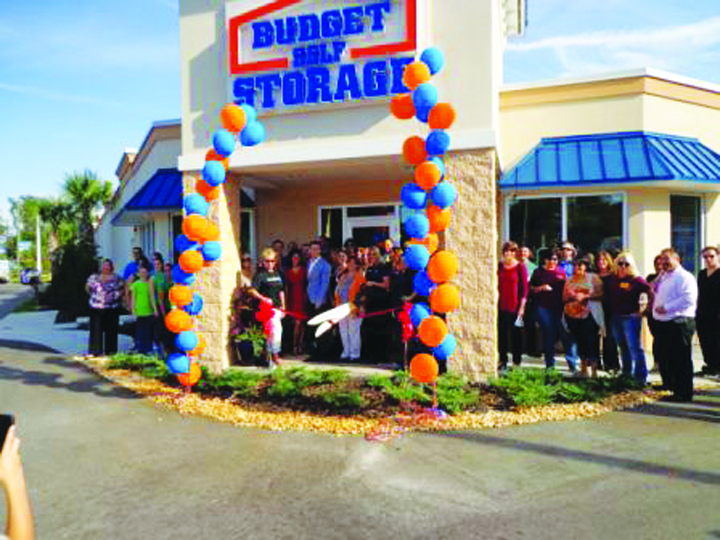 The Brandon Chamber of Commerce and Budget Storage hosted a ribbon cutting ceremony at the opening of Budget Storage’s newest self-storage facility located in Brandon at 607 E. Bloomingdale Ave. Budget Self Storage is partnering with Selah Freedom by providing collection bins at five of its locations for people to drop off donations of personal care, toiletries, beauty products and gift cards for survivors. Call 476-4999. Suncoast Credit Union launched its inaugural Pay It Forward Day last month. This initiative was designed to inspire employees to perform intentional acts of kindness and positively impact the communities where employees live, work and play. Pay It Forward Day aligned with International Credit Union Day’s theme of ‘Local Service, Global Good.’ Over 600 Suncoast Credit Union employees, friends and family members volunteered hundreds of hours in their local communities in the 17 counties the credit union serves. Local organizations that received direct benefit from Pay It Forward Day included: Metropolitan Ministries, Humane Society, ECHO and St. Joseph’s Children Hospital, among others. Visit www.suncoastcred itunion.com. The Valrico branch is located at 3234 S. Miller Rd. Allegria Italiana has begun live music at their restaurant on Oakfield Dr. in Brandon. Jazz vocalist Ella Chadwell, along with her accompanist and arranger Jimmy Silva (piano), has been playing there every other Wednesday night since September. Wednesday, November 19 from 6-9 p.m. they will present “Carnevale Di Venezia,” which will take on a masquerade theme and include professional dancers. There is no cover charge, although dining reservations are encouraged at 651-1166. Visit www.EllaChadwell.com. 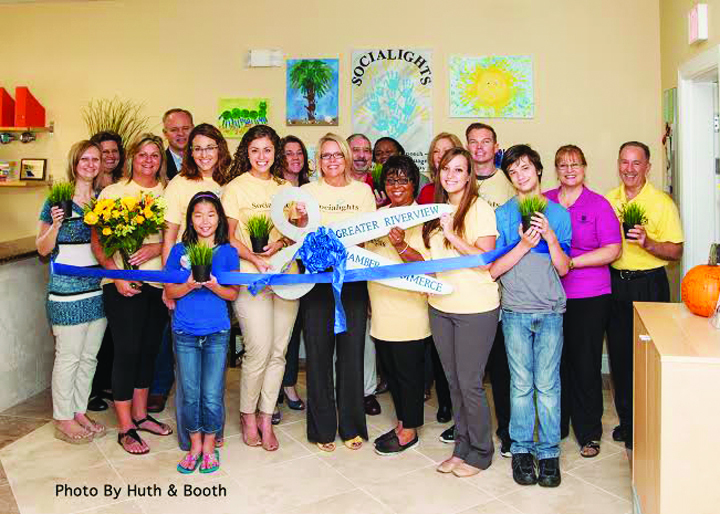 Socialights Connection, Inc. has expanded its facility at the Winthrop Town Centre. This is the second expansion for Socialights in less than 12 months. Last month the Greater Riverview Chamber of Commerce conducted a ribbon cutting ceremony to mark the occasion. Socialights Connection offers Achievable Community Interaction Therapy & All About Speech & Language Occupational/Speech-language Therapy Programs for Special Needs. The mission with this program is “Social Growth for Social Success.” Its vision is to increase a child’s potential for positive and appropriate social interactions, build successful and meaningful peer relationships, and grow and connect with the community. Call 220-0971 or visit the Facebook page, Socialights Connection Inc. Socialights is now located at 6152 Delancey Station St., Ste. 205 in Riverview.